You've probably heard how important Tummy Time is for new babies. You may have even heard that Tummy Time should begin in the first week for healthy, full-term infants. But what you probably haven't heard is HOW?! Babies certainly don't come with instructions and the thought of plopping your floppy tiny infant nose-down to squawk seems a bit...cruel, doesn't it? One way to make Tummy Time more pleasant in your kiddo's first days is to put baby on a tabletop. Sounds funny, right? Putting baby on her blanket on a tabletop helps you get right up close to those sweet, sleepy eyes and lets your little one see, smell and feel that you’re near. Lay a soft blanket on a dining or coffee table and carefully position your newborn cheek-down. Stay close, offer a reassuring hand on her back and talk softly to her. Newborns see best close up (approximately the distance from mommy's chest to her face -- nature is pretty amazing like that!) and are most interested in looking at faces in the first days of life. 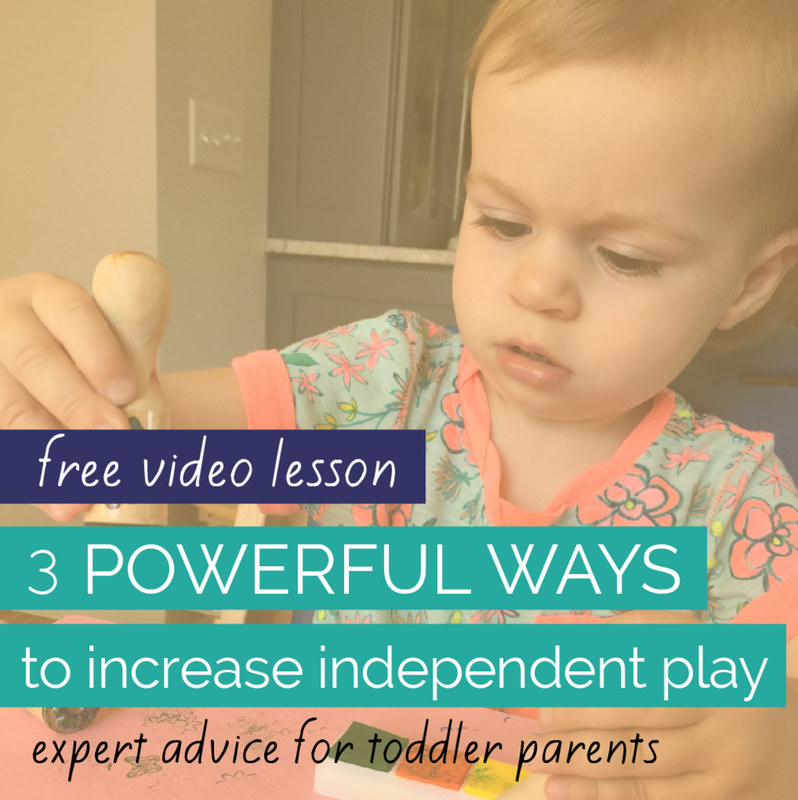 In these early weeks of life, baby "play" looks pretty simple and passive but it is SO important to get your baby out of restrictive baby gear. 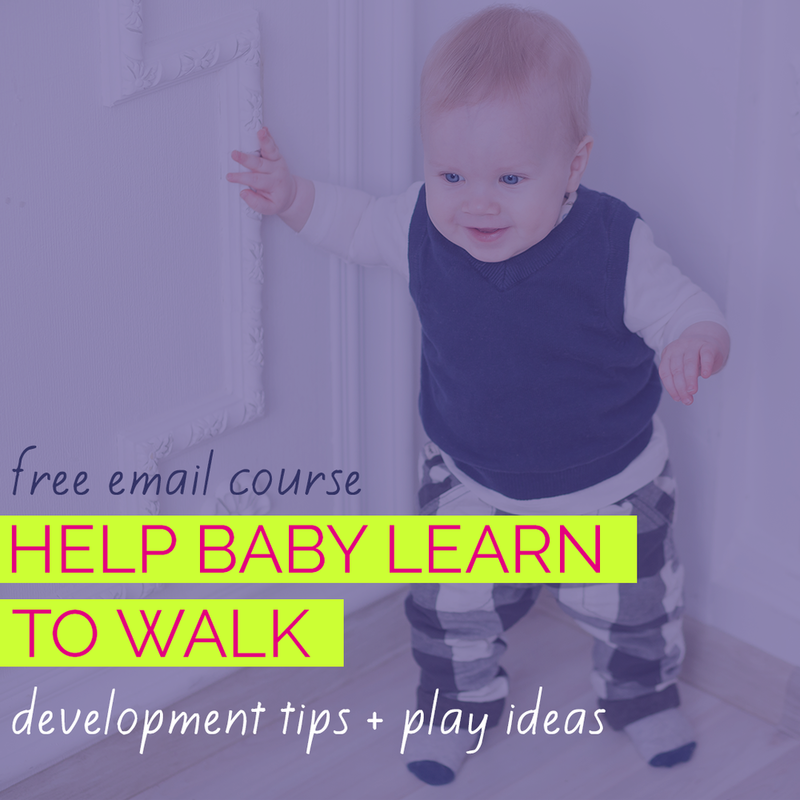 If playing with an infant doesn't come naturally to you or if sleep-deprivation has zapped your creativity, you're in the right place! 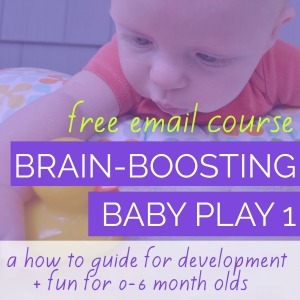 Keep reading for more baby play ideas and infant development tips. She won’t be able to fully lift her head yet but all of her efforts to do so are building neck and back muscles. But that's only the beginning! She may rest quietly and take in the sights and sensations of this new position. Or she may squirm and appear to almost be crawling. Laying on her belly may seem simple, but she's stretching and strengthening - the first motor tasks of infancy. Your little one may whine a bit or make funny noises like a baby bird, but unless she's crying you can just continue to offer comfort and encouragement as she does the hard work of learning about her new body and the world around her. Never walk away from baby on a tabletop. Newborns can reflexively roll as a survival instinct when face-down, even in the first days of life. Always provide close supervision - eyes on baby within arm's reach.